In case you were wondering, I’m a map geek. I’ve mentioned it all over the place on CTMQ and I make no secret of it. (I’m not alone mind you, and I’m not the most afflicted… Trust me.) But I am bad enough that I asked for this book for Christmas and read it in short order. 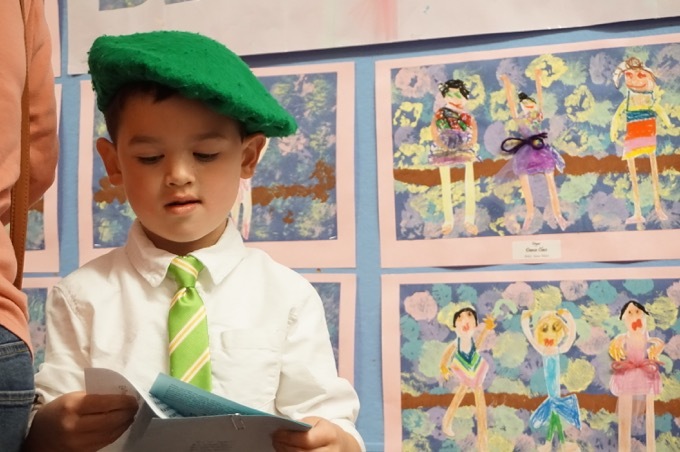 It’s not all about Connecticut – not even close – as you’ve figured from the title. This dry, non-fiction book of history and facts does nothing more than its title promises it will do. 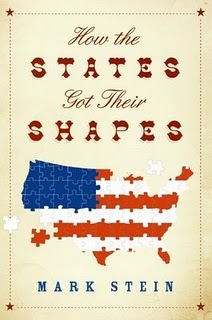 It simply tells us how the 50 US states (and Washington DC) got the shapes they have today. I loved it. I won’t bore you with any details, but if you’re into this stuff, this is a book worth having. Granted, once you’ve read about ¾ of the book, the remaining states’ borders become boring to learn about because you’ve already learned about those surrounding it. I can’t really see a way around that, but with a couple of the more interesting stories at the end (West Virginia and Vermont), it holds interest until the end. We all know about The Southwick Jog by now and even the Baby Enfield Jog. But this book taught me much, much more. Like how we got to keep that panhandlish Greenwich and Stamford in exchange for the long triangle of land north – you’ll notice the western border is not north-south, but angles eastward. That’s why. But far more interesting – and something I’ll be exploring later (somehow) was Connecticut’s Western Holdings. 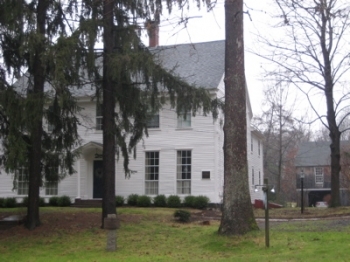 I’d heard bits and pieces of this throughout my travels; notably, the guy who built the Phelps-Hathaway House (now museum) in Suffield owned some land out there. Connecticut, like most colonies, claimed land all the way west to the Pacific. Over time, the colonies (now states) gave the land to the Feds. One of the last holdouts (in fact, the last holdout was our kickass state. 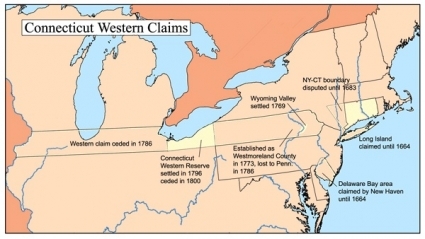 Connecticut refused to give up its “western reserve” which was in what is now northern Pennsylvania and Ohio. And by “refused,” I mean really, really refused. Did you know we (CT) went to war over this? Yup. The Pennamite-Yankee War (or Wars) is the name given to fighting which occurred between 1769 and 1799 between settlers from Connecticut who claimed the land along the North Branch of the Susquehanna River in the present Wyoming Valley, and settlers from Pennsylvania who laid claim to the same territory. King Charles II of England had granted the land to Connecticut in 1662, and also to William Penn in 1681. The charter of each colony assigned the territory to the colony; thus overlapping land claims existed. Both colonies purchased the same land by treaties with the Indians. Connecticut sent settlers to the area in 1754. Yankee settlers from Connecticut founded the town of Wilkes-Barre in 1769. Armed bands of Pennsylvanians (Pennamites) tried without success to expel them in 1769-70, and again in 1775. The “wars” were not particularly bloody—in the First Pennamite war, two men from Connecticut were killed and one from Pennsylvania in the course of two years. In 1771, Connecticut’s claim was confirmed by King George III. In 1773, more settlers from Connecticut erected a new town, which they named Westmoreland. However, the Pennsylvanians refused to leave, and, in December 1775, the militia of Northumberland County, Pennsylvania, actually made an abortive attack on a Connecticut settlement. Then we fought the Revolution and all was finally settled in 1799, with Pennsylvania getting the land. But this wasn’t the only western land Connecticut claimed very late into the game. We also owned part of Ohio. In fact, surviving architecture in the Western Reserve mimics that of the New England towns from which its settlers originally came. Cleveland’s Public Square is even characteristic of a traditional New England town Green. Moses Cleaveland didn’t seem to care, as he never bothered visiting the area again. He died in Canterbury in Connecticut where he is buried. Finally, in 1800, Connecticut ceded the territory to Ohio. If you read this whole entry, you’ll enjoy at least skimming the book. Filed Under: Blog, Books Tagged With: Connecticut Books, Connecticut History Books, Southwick Jog, Take Back the Notch!